Many users are hesitant to make a switch to Linux because they fear that they will not be able to run their Windows programs. Don't believe this as 100% right unless you try Wine. WINE is basically an application layer, which translates Windows to Linux and Linux to Windows, as KateG beautifully put it. In this regard, it is not an emulator, as WINE stands for “Wine Is Not an Emulator." This sounds confusing at first, but let's try this way: Windows programs (binaries if you will) are designed for Windows (naturally) and not in a format Linux can understand. They need a little bit of change (and fixes at some points) to be able to run under Linux. That's where WINE comes to the scene and sets the platform for these tasks. Now you are wondering how to accomplish these tasks in WINE. The answer is “as you used to." Really, you install programs with a simple double-click in WINE. The only requirement is, of course, to have WINE installed on your computer. For Ubuntu users, installation is as easy as going to System → Administration → Synaptic Package Manager and search for wine. Tick the box and click “Apply" to install WINE. When Synaptic is done, you will see the “Wine" menu item in your main menu. Depending on your Gnome theme, you will also notice that the icons for your Windows programs have also changed. You can now immediately spot a Windows executable (exe) in your file manager and all you will need to do is to double-click and run it as we have just talked. If you want to use the command line, the command wine /path_to_program/program_name.exe will fire up the executable file. 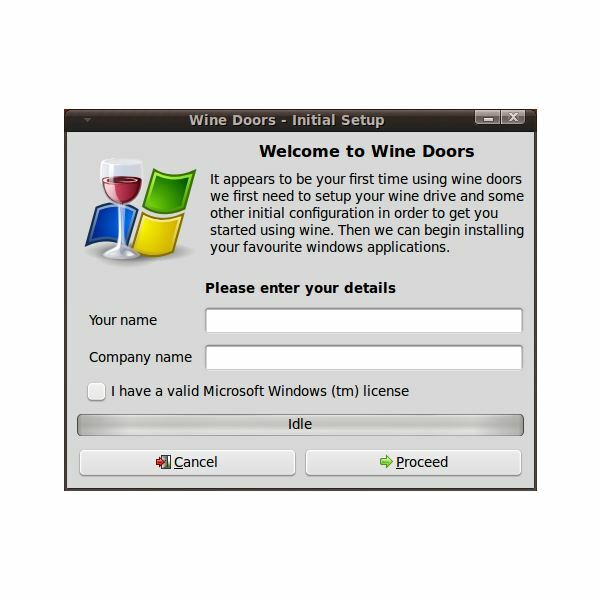 I strongly recommend you to go to WINE's website and check the programs that run with it. 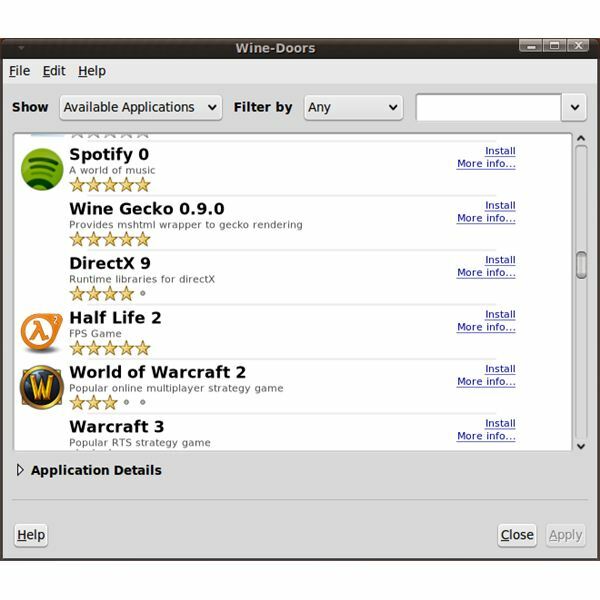 You will be amazed with the number of programs that you can use under Linux with WINE. 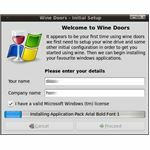 When everything is in place, go to Wine-doors' website and download the program file. Ubuntu users will download the .deb file. When done, double click on the .deb file and install it. Wait for the program to download a couple of files from the Internet and you are ready to go. For the majority of the users, WINE will do fine for running Windows applications in Linux. However, there is a big number of gamers who would like to use Linux but afraid that they will not be able to play games. I suggest you to take a look at Pranav's article on Linux Gaming together with the Cedega and Crossover websites to see if they fit better for your requirements. Cedega and Crossover are commercial products but the price is way lower than what you will pay for a Microsoft Windows licence.